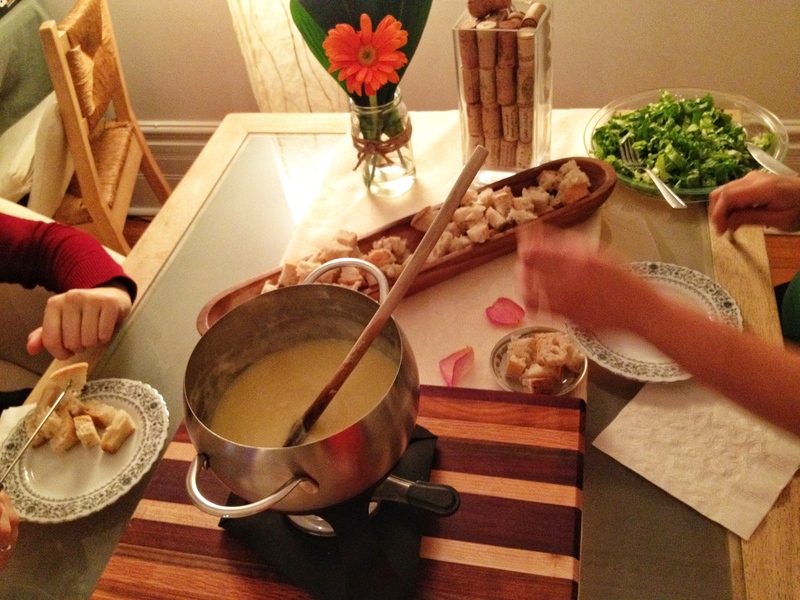 Fondue is great whether you are celebrating with your loved one, or with friends and family! 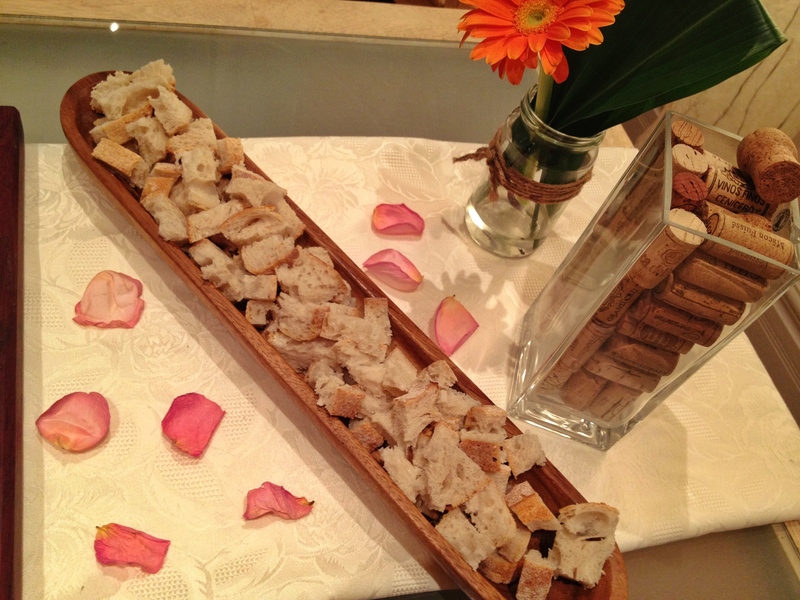 We normally enjoy it by itself with a simple salad on the side and some nice desserts! 1. Rub the inside of the fondue pot with the garlic clove. Discard clove. 3. Meanwhile, dissolve cornstarch in Kirsch. Now transfer the fondue pot from the stove top to the stand and enjoy! 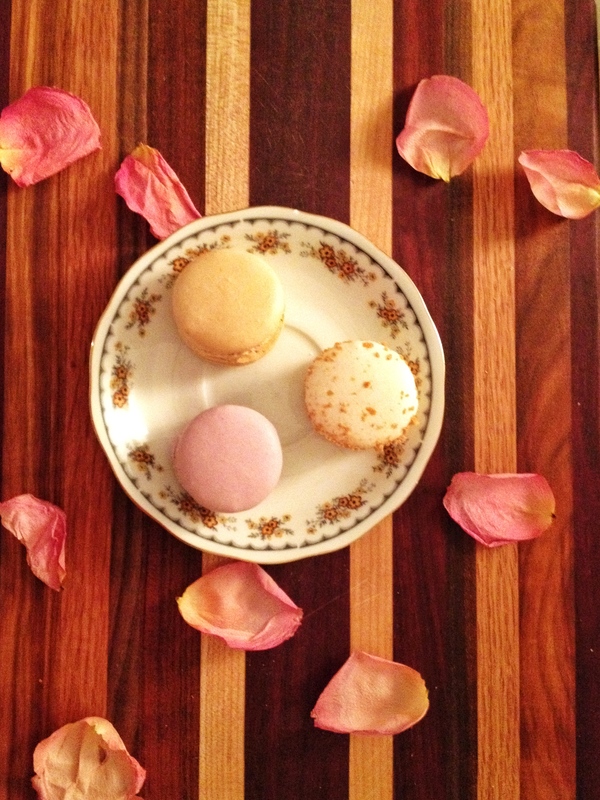 Drink pairing ~ to offset the richness of this dish, pair it with a dry white wine like Sauvignon blanc. Hope you have a lovely Valentine’s Day! 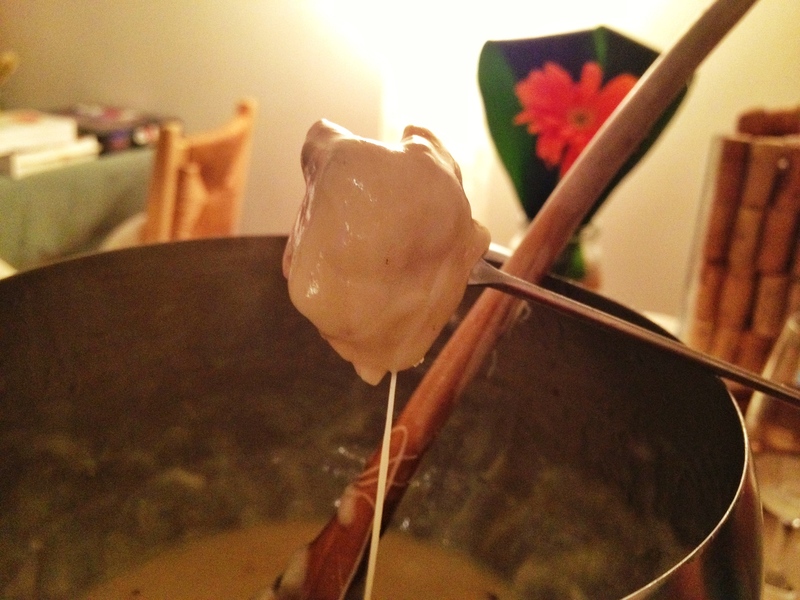 This looks so easy; never buying pre-made fondue again!